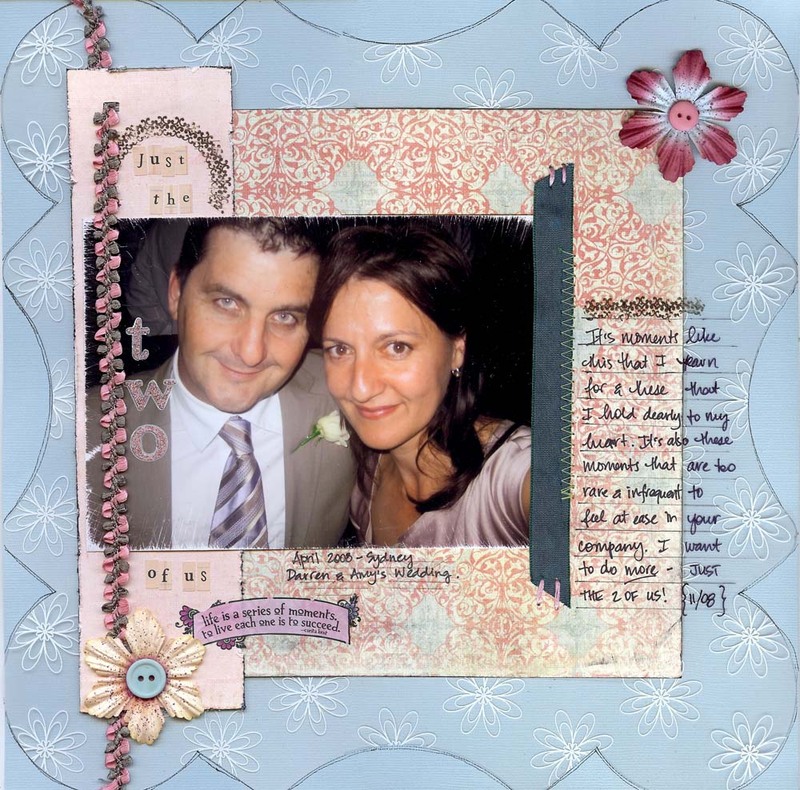 Malinda Gardner got my photo and sent me this GORGEOUS layout. It was a while ago, but only this week have I put some journaling on it and added a few rub-ons (just can’t help myself). Love it Malinda. Thanks again and again!!! Mackinley now has a budgie. Do I dare re-tell the stories of how Chirpie came to be with us?? Only if you have a strong stomach, should you continue reading the next paragraph. I came home from collecting the boys the Friday before “the storm”. Noticed from the kitchen window, a dog INSIDE the chook pen!!!! yep, happily feasting on the chickens. The boys had followed me outside (probably because I screamed as I opened the doors) but luckily they didn’t actually SEE anything. The dog wasn’t collared, but found out later that it belonged to someone “living” in the house down the road. Reported the dog to council but didn’t take photos of it because I thought it was feral (no collar, remember) and raced back inside, dragging the boys by the arm!!! Mackinley spent the next hour HOWLING in his room. Later he decided that he had enough money in his money box for a hand-reared budgie (he stalks the local pet shop). So on Saturday, he and Michael bought “Peakie”. Then the storm came on Sunday night. On Monday, I asked Michael to go inside and keep an eye on Rainer while I checked on an elderley neighbour and to see the damage at the school. Came home, Michael’s still in the car, charging his BlackBerry. Go inside. Rainer’s laughing his head off, seed everywhere, NO PEAKIE!!! Mackinley spent the next hour HOWLING in his room. Dad is the most unpopular person in our street. We return to the pet shop and buy Chirpie. But Chirpie is not like Peakie. Peakie was gentle and would let us hold her. 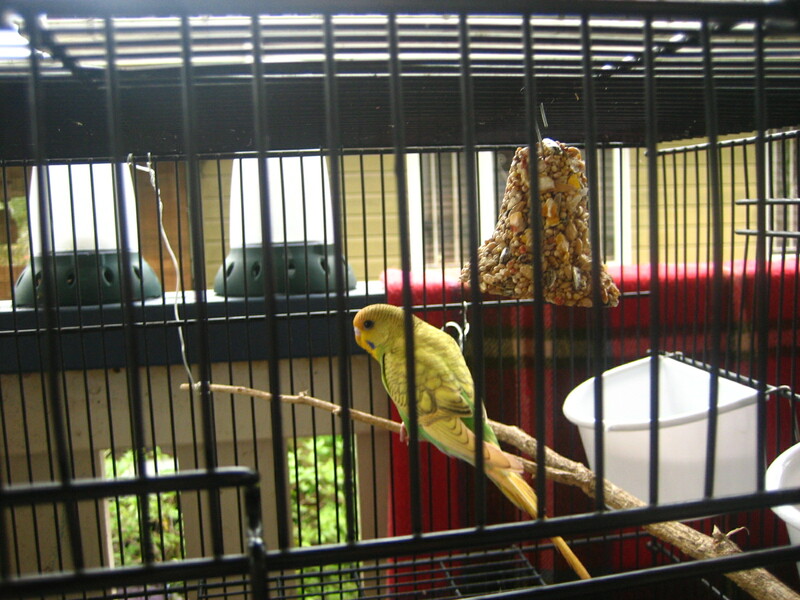 Chirpie is a little like Rainer – doesn’t stop moving and has serious “being held” issues. But we still love Chirpie. 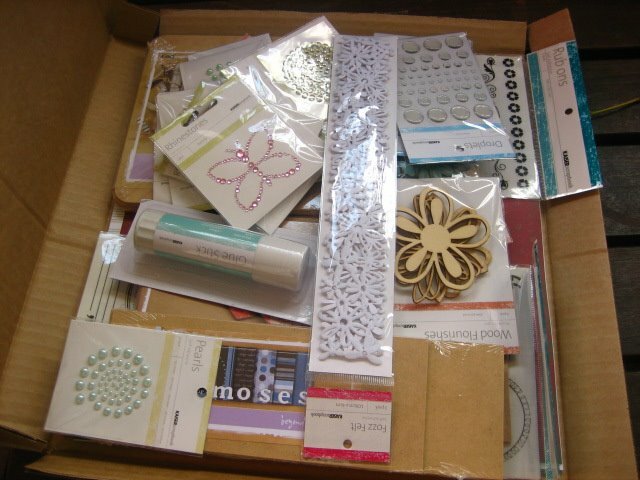 I re-subscribed with Scrapbooking Memories a while ago and got a really good deal which included this awesome Kaisercraft pack!! All current Christmas papers and loads of embellishments and off the page yumminess!! IT WAS BULGING!! It arrived the week I got back, so it really made me smile. Gotta love a good bargain. Can’t wait to get started. Last Sunday was the anniversary of Dad’s passing. I know, already a year!! Mum had a mass said for Dad and then we went to Rita and Marc’s place for lunch. Their new house is great. 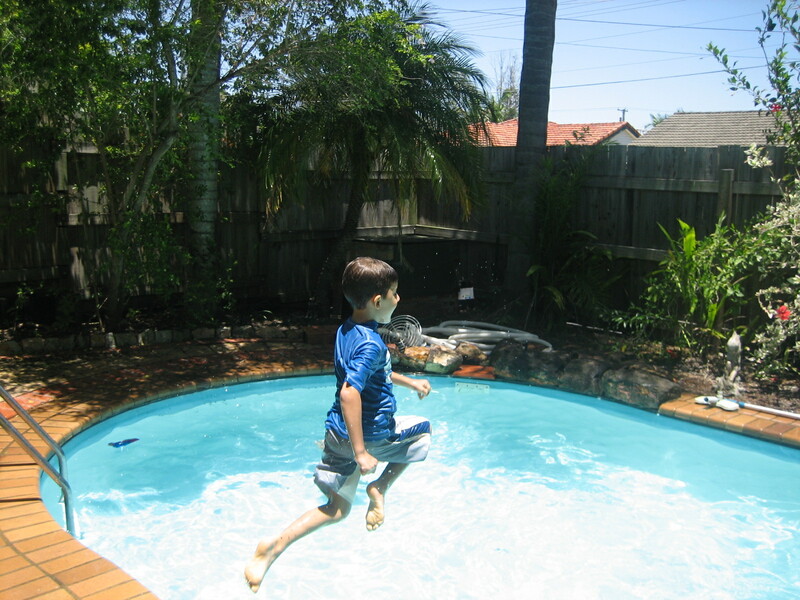 They have a pool!!! We took Rainer home early and Mackinley stayed on till late. That was the morning of Cara’s Baby Shower. I’ve been culling my stash. Using a lot of old stuff I love and just being ruthless with all the old stuff. I’m not even bothering about gifting it, I just want it GONE. 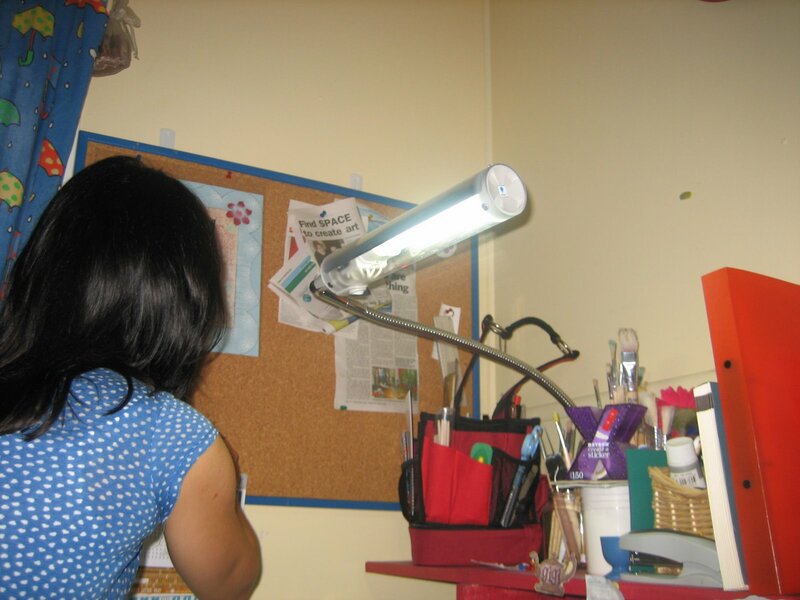 Mackinley thought it would be fun to take photos of Mummy “working” LOL. I have my “art” text books out and I’m going to systematically go through each technique, from beginning to end. Only then will I be satisfied and feel less guilty about buying all these awesome arty/crafty books. I love hearing the bird story Giovanna, you tell it so well (although it is better in person because I could see you facial expressions and you let loose with your descriptions and frustrations a little more hehehe!)!! !